"Ann Kirschner allows her mother's poignant story to emerge from these heartbreaking missives, filling in the gaps with a dignified, quietly eloquent connecting narrative…an incredible journey through hell and back" (Kirkus Reviews, starred review). 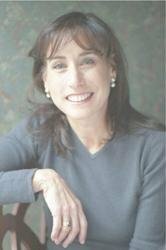 Do you think Ann Kirschner effectively strung together her mother's vast collection of letters with the information she gleaned from Sala's diary, survivor interviews, and her own library research to create a cohesive narrative? Was there any particular correspondence in the text that moved you the most by? What different emotions did you experience as you encountered each new letter? What feelings or conclusions do you think Ann Kirschner hoped you would carry away from this book? While the Holocaust was a time of unimaginable horror and inhumanity, it was also a time in which incredible generosity, selflessness, and bravery were demonstrated under the most difficult of circumstances. Sala relied on a network of supporters, such as Ala, the group of protecting male prisoners at Geppersdorf that included Chaim Kaufman and Bernhard Holtz, the Pachta family, and of course her family and friends. In what particular way do you think each of these people helped Sala survive her time in the labor camps? Is there one person who you believe played the most significant role in her survival? Ala, Sala's most dear friend during the war, is unanimously praised throughout various letters in the book for her inspiring spirit and her unwavering, pragmatic resolve. Kirschner wonders what motivated her to join the resistance movement at Auschwitz [p. 243]. What is your take on Ala's decision to put herself in great danger? Did she die a noble death? Did it come as a surprise that Sala did not see her sisters in Sweden after they were liberated and hospitalized and instead remained in Ansbach with Sydney? Beyond her engagement to Sydney, what may have motivated Sala to move to America without seeing her sisters first, even after suffering through heartbreaking years of separation and fear that they may not have survived? After suffering the crushing defeat of discovering Sosnowiec emptied of any hint of her family's previous life there, it appeared Sala had happily left it behind forever. Were you surprised to discover that Sala was willing to return with her children to Kollataja Street and the sites where the labor and death camps had once stood? Do you think that Sala found what she was looking for during her return visit? Kirschner refers to the comparisons that she observed being made among survivors between the Nazi labor camps and the death camps, "Four days in Auschwitz...five years in seven different labor camps. My mother had lost her parents, sisters, brothers...I do not want to compare. Some threshold of suffering defies measurement." [p.6]. After reading the book, do you agree with this assessment? Do you think that Sala and the other labor camp survivors would agree? Discuss Sala's heroism. In what moments was she particularly courageous? Were there any instances when she displayed weakness? Was Raizel heroic? Before the postscript, Kirschner closes her narrative with a letter that Raizel wrote to her mother after they were both liberated. "One thing you should know, Sala, is that the acknowledgment of one's guilt can mitigate it, but only if one starts to reform oneself. Let us forgive each other everything, and together ask forgiveness for the sins we committed against our dear parents. All alone, all alone, in peace and quiet, and filled with our own thoughts, we must be satisfied by self-reproach and rectification through good deeds." [p. 260] What do you make of Raizel's words? In what ways was the relationship between Sala and Raizel affected by all of the events resulting from the Holocaust? Why do you think Kirschner picked this to be the last letter referenced in the book? Did surviving the Holocaust, affect religion or spirituality among the survivors in Sala's Gift? In what ways? What might you expect to happen to someone's faith after living through such an experience? 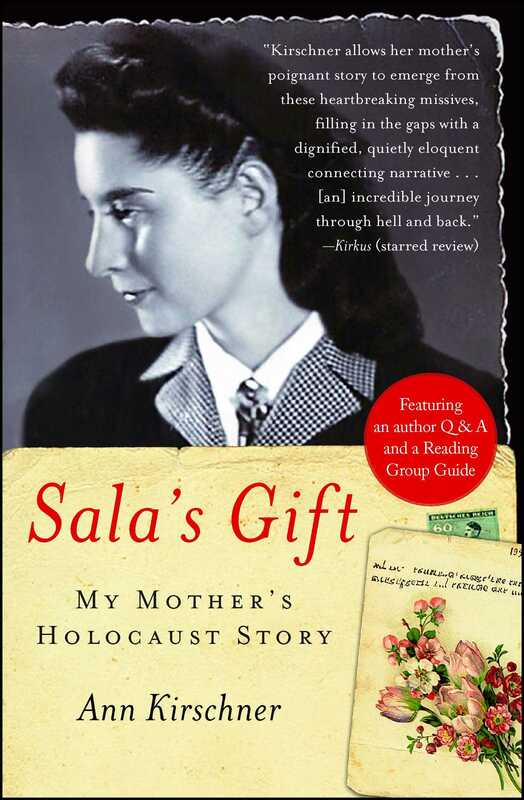 What were your feelings about the Holocaust prior to reading Sala's Gift? Have they changed at all now, having read the book? If so, in what way? What account(s) had previously shaped your perception of this infamous moment in history? Search within the New York Public Library's website, www.nypl.org, to view some of the letters preserved as The Sala Garncarz Kirschner Collection. You'll find several original letters and photographs, and discover information regarding where and if the exhibition is currently showing at any particular branch. If possible, travel with your group to view the collection, or simply view it together on the Internet. Do you have any correspondences from older relatives saved in a collection? Bring these, or anything that you have that may revealed something about a member of your family, to the meeting and discuss their importance to you. Read The Diary of Anne Frank as a companion text. How did her story differ from Sala's? In what ways are they the same? Ann Kirschner is University Dean of Macaulay Honors College at the City University of New York. She began her career as a lecturer in Victorian literature at Princeton University, where she had earned a Ph.D. in English. A writer and contributor to a variety of newspapers and other publications, she has built a career as an entrepreneur in media and technology. She lives with her family in New York City, a short drive from her mother's home.